New York Fashion Week is now officially over and I am bereft. I wasn’t there, mind you, but many of the bloggers I read regularly were there. But I think what I’ll miss most in Fall 2012 are using the sleeves on my coat. Alas, henceforthwith, my coat will only adorn my shoulders and the sleeves will lie limply. Who needs sleeves when you have a sequin sweater? J Crew's Jenna Lyons rocking the lesbian chic. Which, of course, means no sleeves. Where is my right hand? Have you seen it? You know what's really hard? Hailing a cab when you have no arms. Come to me, let me wrap my limp sleeves around your neck like a scarf. Rachel Zoe was QUEEN of the non-useful sleeve. She is Working. It. 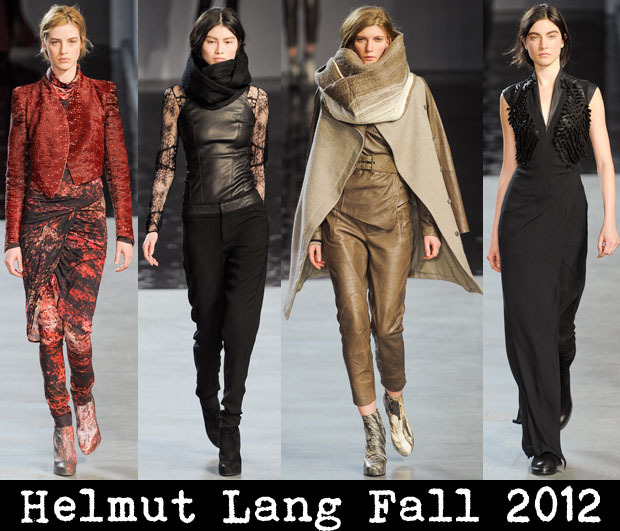 Helmut Lang: No use for sleeves. The aforementioned Rachel Zoe's collection. Sleeves are for poor people.